This is the hotel where the Program takes place and where we pick up and drop off Focus Program Attendees. We strongly encourage you to stay at the hotel – as we will start our sessions on time! The Focus Preferred Room Rate of $1,951 pesos including tax (approx. $95 to $105 USD depending on exchange). This price includes a full breakfast for two. The Hotel generally allows participants to arrive a couple days early and extend their stay for a few days after – at the same rate (confirm your dates with Hotel). Focus has negociated a special room rate – but you have to ask for it. 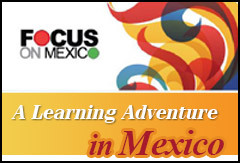 Be sure to mention you are attending the Focus On Mexico Program when you book or in your correspondence with the hotel. NOTE: online hotel searches may find the Hotel fully booked but Focus has reserved a block of rooms for Focus attendees. So either ask the Hotel directly for a Focus Special Rate room OR contact us for help in booking your room at info@focusonmexico.com If the Hotel does get fully booked, we will help you to find a good nearby B&B. (As a price comparison, if you book this hotel through booking.com, the price may be about the same but does not include a full breakfast and there are additional costs of 16% IVA and 3% city taxes.) So our Focus Preferred Rate is a great deal! These rooms have two double beds, a small chair, a table, a cable TV, bathroom with tub equipped with all amenities and telephone. Room price for 1 – 2 adults. Additional charge for 3rd person. The hotel has WIFI access in some areas and an electronic safe at no additional cost. All Focus preferred rate rooms have beautiful garden views. If you wish to upgrade to lake view, call the hotel directly as our preferred rate does not apply. Click on the link above to go to the hotel website to see additional pictures of the rooms and grounds. 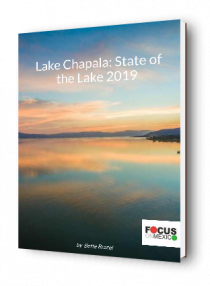 If you find that the Booking function on the hotel website is not functioning, you can contact Real de Chapala Hotel representative Ana Elizabeth Romero Marcy . From Canada or the US call her at 011 +52(376)766-0007 or email her at reservaciones@realdechapala.com Please make sure you mention you are booking a room as a group attendee of the Focus On Mexico program. If you have any problems reaching the Hotel, please contact michael@focusonmexico.com for assistance. Focus does not guarantee hotel accommodations but we have found a high level of satisfaction with our program attendees.